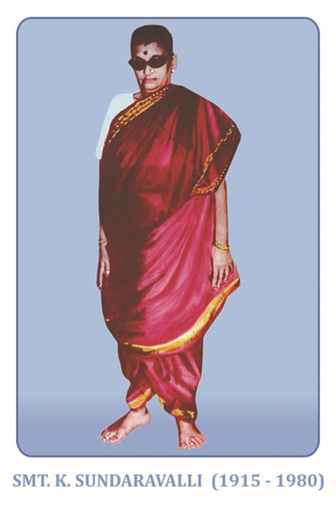 Srimathi Sundaravalli Memorial Educational Trust was founded on 3rd May 1985, in the fond memory of Smt.Sundaravalli, a noble soul and the mother of Sri.K.Santhanam, the Founder and the Managing Trustee, with the primary aim of imparting quality education to students and to serve the humanity at large. The Trust was started in the year 1985 and has grown like a huge Banyan Tree. The following institutions are under the auspices of the Trust. With the blessings of God, the Trust now treasures, 6500 Students, 1250 Staff members and 350 senior citizens. This enormous growth is the result of the support extended by all the Senior citizens, Staff, Parents and Students. The future vision of the Trust is to establish a world class SSM Residential School, having Classes from VI to XII, to serve the economically backward students, totally at free of cost. The Trust owns 80 acres of land at Tirunelveli for this purpose and the Institution will come into existence at the earliest. The proposed Residential School at its full strength will have 3024 Students. The Trust will help these students to pursue their higher studies on vocational courses in ITI / Polytechnic Colleges, Arts and Science Colleges / Professional Courses, depending upon their academic performance level and support them till they become independent. The Trust wishes to contribute its mite towards the Nation building. The Trust has plans to start a World Class "SSM General Hospital and Medical College" with state-of-the-Art facilities at Perungalathur, Chennai - 600063, within the next few years, in an area of 20 acres of land and provide excellent medical facilities to the poor and the needy at an affordable cost. The MBBS seats in the command of the Trust, in compliance with the Government rules, will be allotted to the brilliant students, without collecting any capitation or donation, in any form. We are well aware that we are only a drop in the Ocean. God should bless us to achieve the above goals. The Trustees dedicate their entire life for the cause of Education and Service to humanity at large. The following Eminent personalities, of great erudition and true social commitment constitute the Board of Trustees. Sri. 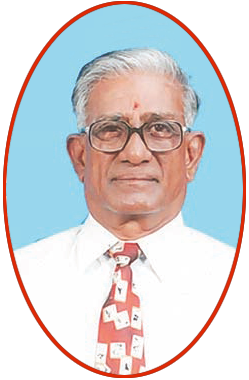 K. Santhanam, the Founder of the SSM Institutions has come from a very modest and respectable Family. As a Diploma Holder in Civil Engineering, he started his career on a daily wage of Rs.6/- in the year 1965. At the age of 19, he entered the Government Municipal Service as a Supervisor on a monthly salary of Rs.161/- and left the service at the age of 29, when he was drawing a salary of Rs.625/- per month, unable to tolerate or digest even the negligible percentage of unethical practice that prevailed in those days. He entered the World of Entrepreneurs not knowing that this Venture is in no way better than his previous assignment on the issue of moral and ethical values. In the last 53 years, he has been working non-stop, without taking even a day’s rest, to make his life Service-Oriented. He is not a philanthropist as all his services are charged. His life cannot be construed as a Business, as his aim was not to make profit and amaze wealth. His journey of life can best be understood, as a Service to the man-kind. Total surrender to God – Hard work – Honesty - Integrity and Quality of Service alone is the motto of his life, which had made him, what he is today in the Society. Above all he is an apolitical person. in the fond memory of her Mother. in the next compound of SSM Nagar on 30 Acres of land. Sri.R.Athmaraman, the esteemed Founder member directs the activities of the Trust along with the other learned Trustees, to retain the hard earned glory in the last 27 years. He is a Mathematical genius, a notable educator and a man of academic excellence. He has authored several books and serves as a member in the Government appointed academic committees of both, Central and State. He is noted for his piety and simplicity. He is the God Father of the Trust in facing all the challenges. 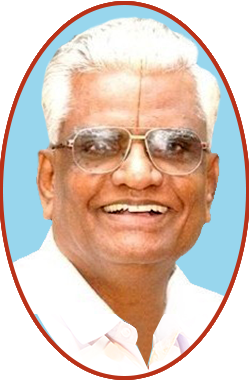 Sri.S.Kothandaraman, an Advocate is recognized for his benevolence and good deeds. He is an embodiment of simplicity. He spends all his earnings in renovating the economically weak temples and in performing Kumbabishekams. He and his team of like minded friends, render services in the temples during the week ends. The Trust is really fortunate to have such a noble person in the Board. © Copyright SSME Trust 2017, All Rights Reserved.